The NHL Central Scouting Service has released its annual midterm rankings ahead of the 2019 NHL Entry Draft in Vancouver. 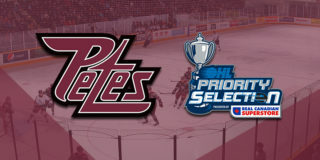 Two Petes players, including Hunter Jones and Nick Robertson, were named to the list. Jones has recorded a 21-16-1-1 record this season with a 3.18 goals against average and 0.910 save percentage. The 6’4”, 194lbs Brantford, Ontario native was ranked 2nd among North American goalies eligible for the draft. Robertson has amassed 17 goals and 16 assists for 33 points in 31 games (1.06 points per game) this season. The 5’8”, 156lbs centre from Northville, Michigan was ranked 30th among eligible North American Skaters. 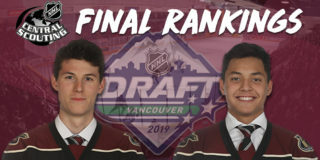 The 2019 NHL Entry Draft takes place in Vancouver, British Columbia on June 21-22 at Rogers Arena. Peterborough’s roster currently features eight players selected in previous NHL Entry Drafts, including Austin Osmanski (Buffalo), Chris Paquette (Tampa Bay), Cole Fraser (Detroit), Zach Gallant (Detroit), Declan Chisholm (Winnipeg), Semyon Der-Arguchintsev (Toronto), Liam Kirk (Arizona), and Ryan Merkley (San Jose). 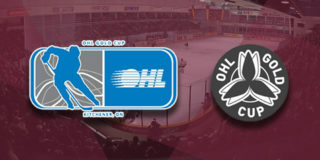 The Petes return to action on Thursday, January 24 at 7:05pm when they host Peterborough native Owen Tippett and the Saginaw Spirit. Tickets are available through the Baker Tilly Box Office in person, over the phone at (705) 743-3561, and online. 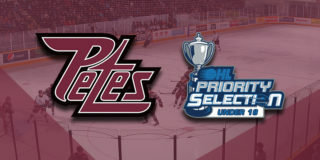 Petes Holiday Flex Packs are available for the Petes’ remaining January home games on Thursday, January 24 and Wednesday, January 30. For just $59.99 (tax included), fans will receive two Petes holiday mugs, two $2 Tim Hortons Tim Cards, and four ticket vouchers. The regular price of this package is $118, which means fans save almost 50% on the special offer. Contact Mike at (705) 743-3681 x 263.